Bistros first appeared in France in 1815. They were small restaurants that used to serve quick, small and simple meals of excellent quality. 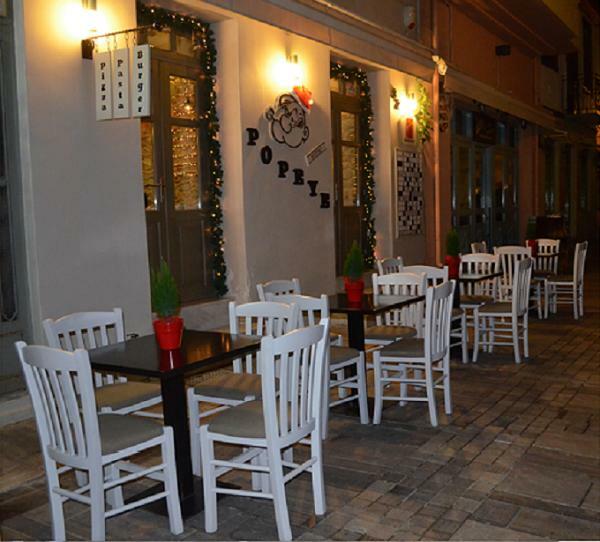 The bistro Popeye in the old quarters of Nafplio, even though in Greek territory, possesses the typical characteristics of an authentic bistro. Recently renovated and decorated with exquisite taste, the bistro will definitely attract your attention and its food will satisfy even the most demanding among you. Its tasty burgers, rich-flavoured pizzas, sweet smelling pastas, and its authentic Italian espresso are the things bistro Popeye stands out for.